WE ARE DOING IT �CAUSE� WE�RE USE TO IT!!!!!!!!!!!!!!!!!! CLASSES 0F 1968 - 1978 THIS IS 4 U 2!!!!!!! http://www. *****/**** EVENT PG. PAYPAL: @ bottom of pg. 11A.M. TILL WE GET TIRED!!!! 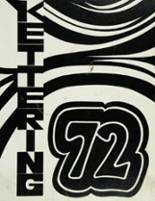 More 1972 alumni from Kettering HS have posted profiles on Classmates.com®. Click here to register for free at Classmates.com® and view other 1972 alumni. The Kettering High class of '72 alumni are listed below. These are former students from Kettering High in Detroit, MI who graduated in 1972. Alumni listings below have either been searched for or they registered as members of this directory. You can share memories of those activities that you were involved with at Kettering HS and you can view other alumni and read what other former students have posted about the time they spent at Kettering.